Building this play therapy dollhouse was a great experience. I was unsure at first how to build this house and what purpose it would serve to me. I was pleasantly surprised how building this dollhouse would bring up so many emotions. As I was building, I was thinking about my childhood and my family and the memories that we shared in the home I was recreating. When I got to class and begin to use my miniatures and tell about my life, I was shocked to how much I revealed about myself. 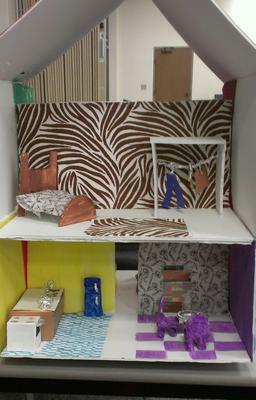 This play therapy dollhouse allowed me to open up in ways that i probably not be able to share during talk therapy. I have experienced the power of the dollhouse. 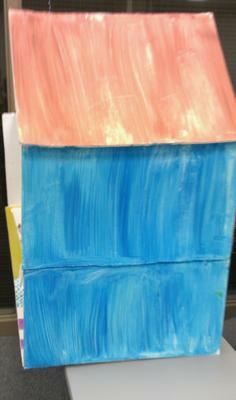 Even as the counselor, I was able to see the power of the play therapy dollhouse. My client truly opened up and was able to share information about her home and family that I never would have known. The dollhouse gives you an opportunity to look at your world and process the things that have shaped you. 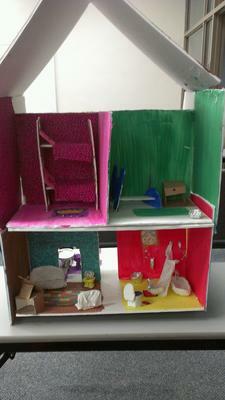 Also, the dollhouse gives the client the opportunity to change their story. If there is an unresolved the client can use the dollhouse to re-write or change their story in order to move on from the situation. During my experience with the dollhouse, I was able to acknowledge my hurt and issues with my mother and I was able to go back and pinpoint the time in which these issues began.